X-RAY shadowgraphs have heretofore displayed only two dimensions, height and width, but with the recent development of the “cross-eyed” X-ray a third dimension, depth, is added, making the image appear like a sculptured skeleton. 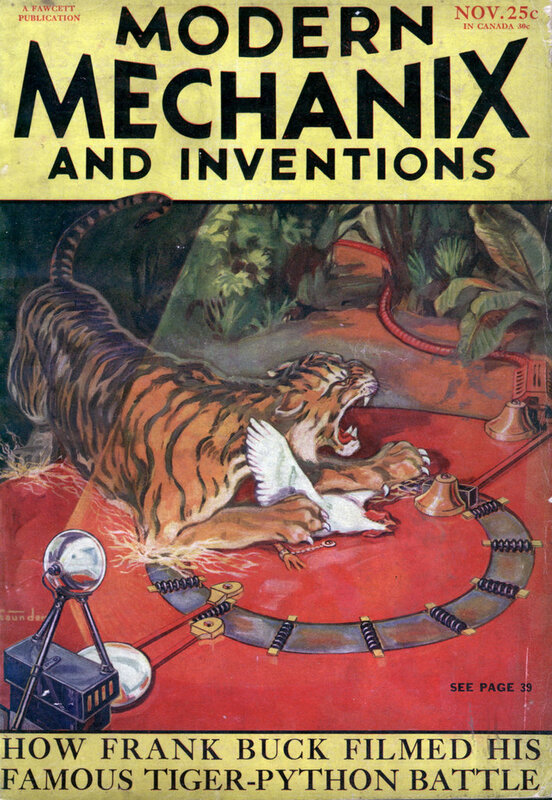 The main element of the machine is a pair of X-ray tubes whose beams, directed against the patient as illustrated in the drawing above, intersect in the body, thus casting shadows in two different planes. it may be actually measured by calipers to determine size and shape of internal body cavities and bones. The observer peers through a special viewer having a shutter which interrupts the eyesight in synchronism with a shutter breaking up the X-ray beam 60 times per second,, four times the speed of the movie. This high speed interruption has the effect of building up in the brain the illusion of a steady, lifelike, three-dimensional likeness of the patient. The “cross-eyed” X-ray will find widest use in the field of setting bones and locating foreign bodies such as bullets and shrapnel. 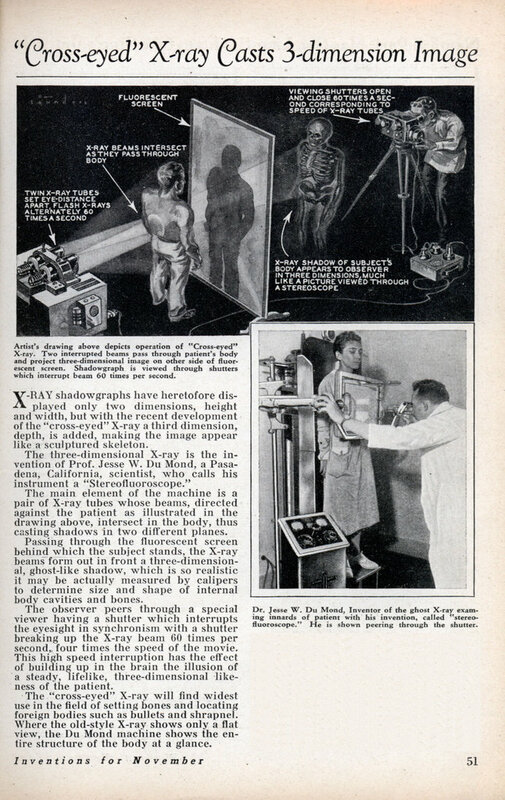 Where the old-style X-ray shows only a flat view, the Du Mond machine shows the entire structure of the body at a glance. Oh boy! Twice as much as radiation!